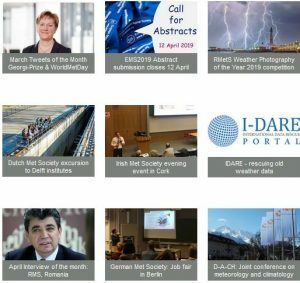 Every year the Irish Meteorological Society’s (IMS) programme includes a field trip. This year the Teagasc Ballyhaise Agricultural College and Meteorological Station was the venue. The IMS group started in Dublin and travelled by coach picking up people at Glasnevin (Irish Meteorological Service HQ) and at Cavan. 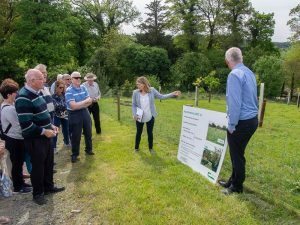 Teagasc – the Agriculture and Food Development Authority – is the national body providing integrated research, advisory and training services to the agriculture and food industry and rural communities in Ireland. John Kelly, the principal of Ballyhaise Agricultural College, welcomed the group and introduced the work of the College which carries out research and provides training to the farming community. At present there are over 1000 students, most of whom are part-time farmers. He described the effect that the prolonged cold period in 2010 had on the college and its farming activities; a surprising issue was simply obtaining water supplies for the animals after the mains supply had frozen. This was followed by a talk by Patrick Kelly, a brother of John, who is a dairy farmer in Donegal. He talked about the challenges of farming on land adjacent to a river and how he manages his farm to take account of regular flooding. The lead dairy researcher, Donal Patton, discussed the practical challenges of weather on dairy farming and the work that they do at the College. Marianne Lyons, a lecturer at the college, gave a presentation on Forestry and how they advise landowners on forestry. She also discussed the phenological garden at the College. The group at the weather station. 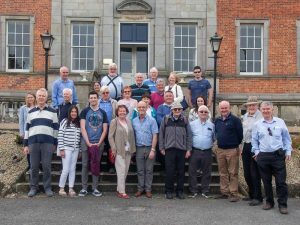 Finally, the group visited the Met Éireann automatic weather station located on the grounds of Ballyhaise Agricultural College. 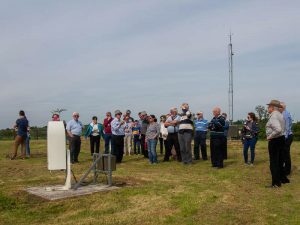 Paul Halton, the retired Head of IT at Met Éireann, the national meteorological service, described the station and all of the equipment in use. John Kelly remarked that an instrument to measure depth of snow was introduced in recent years but it recorded very little during the ‘Beast from the East’ episode in February 2018 as the wind simply blew the snow elsewhere. At the end of the visit, Paul Halton presented the College with copies of ‘That’s Maths’ by Peter Lynch and ‘Weather Eye’ by the late Brendan McWilliams and thanked them for their hospitality and for making the visit possible on a Saturday. Photos and text by Kieran Commins.